Many folks struggle to sleep well because their bodies tend to heat up at night and their current mattresses aren’t doing them any good. Our suggestion is a cooling mattress topper. 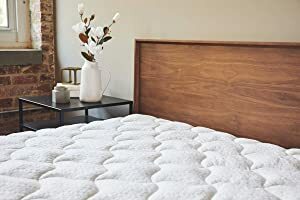 In this review, we’ve selected the top 15 best cooling mattress toppers which are not only best-selling but are also super affordable. Come join us! When it’s summertime, many people just can’t sleep as well because it’s too hot and they wake up sweaty every morning. But everyone knows electric bills are expensive. What is the cheaper solution then? Our recommendation is a cooling mattress topper which lasts for years and is much cheaper than setting your air-con on low for days. 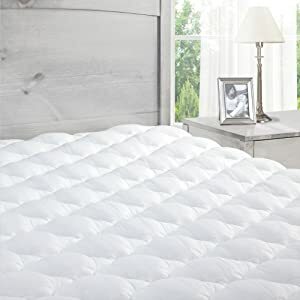 In this post, we’ll briefly explain what a cooling mattress topper is for those who might not be very familiar with this product. We’ll show you a few things you should look for when considering buying one. And then, we’ll get to the list of our top 15 picks for 2019. Sounds cool? Now, let’s get started! A cooling mattress topper is a temperature-regulating layer that you can place directly on your current mattress. It helps you maintain a moderate body temperature throughout the night. This, consequently, will give you more quality night sleeps and less sweating problems. Most cooling mattress toppers nowadays are constructed with billions of open-air cells which help flush the heat out and keep you cool. Some use gel infused memory foam while others more advanced have built-in mini fans to blow cool air in. This is sort of like a mini air-con built in the topper. Other manufacturers incorporate advanced liquid cooling like those used in computer cooling system to deliver the best-in-class cooling effect. 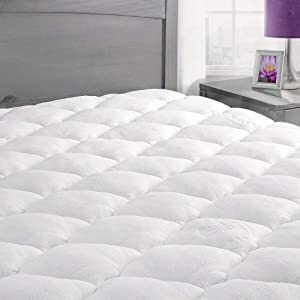 What to Look for When Buying a Cooling Mattress Topper? Different materials have different properties when it comes to cooling. Denser memory foam, for example, tends to trap more heat. But many customers love their conforming properties. Which is why, manufacturers infuse gel with the foam, making it more breathable and giving you a better cooling experience. 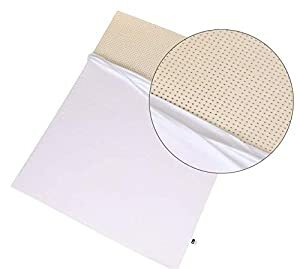 Check out below for the detailed properties of the 6 most common mattress toppers materials. You’ll also see about each one’s firmness and comfort level, which are also something you should look for when buying the toppers. Red Nomad is dedicated to giving you sweet dreams. Their cooling toppers are CertiPUR-US certified with unbeatable craftsmanship. The smart CoolFlow technology helps keep cool air in and let heat out, giving customers refreshing night rests. 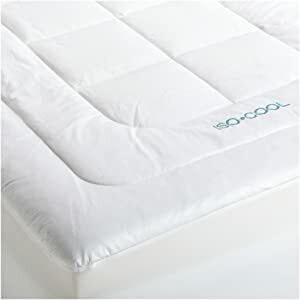 SleepBetter Iso-Cool mattress topper has received hundreds of 5-star reviews for the effectiveness and quality it provides. The white topper looks clean and elegant. 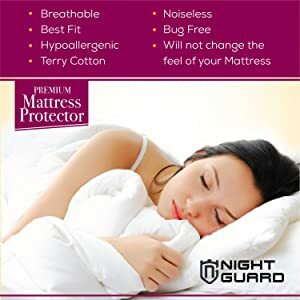 This would be a great addition to any mattresses and a great choice for folks who like to sleep cool. Advanced Sleep Solutions has some of the best-selling cooling mattress toppers on the market. This premium gel infused memory foam is sure to win hearts. Their products are all made in the USA with over 1,000+ trusted reviews by happy customers. Leisure Town is another market leader in the cooling mattress toppers category. They’ve received over 1,500 reviews with an average customer satisfaction rate at 4.3 out of 5. The price is super affordable. This is a great option for the whole family. 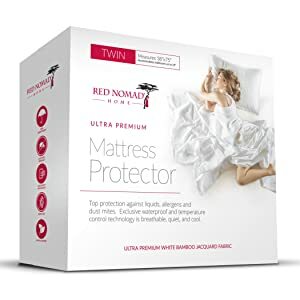 This is one of the most popular mattress toppers out there with over 5,000 reviews and a 4.3 out of 5 average rating. Many love this topper because of its unique bamboo-derived rayon which gives ultimate comfort and temperature control. 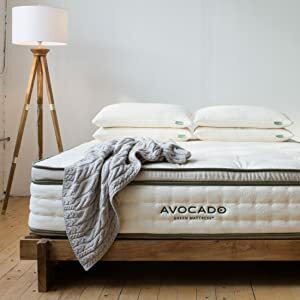 Avocado Green mattress topper is a great option if you’re really into eco-friendly products and genuinely care about the environment. The quality of its materials is top-notch. The topper is handmade in Los Angeles and is vegan certified with GOTS organic certified cotton. They support fair trade and care about the farmers who grow the cotton to give you this superb-quality topper. This topper is going to be a favorite for latex lovers. It’s made from all-natural 100% latex with no fillers. The topper offers incredible pinpointed support and great high-pressure points relief for folks with hip, back, or neck pain. Best of all, latex stays cool all night. Night Guard topper has a lot of value to offer. 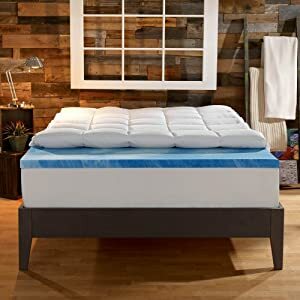 It fits nicely with your mattress and doesn’t change the overall mattress feel. It’s incredibly soft and comfy. The topper also has anti-bacterial properties. Patented AirCool IQ gel memory foam that performs and outperforms memory foam. The cover on this topper is made from 100% long-lasting polyester fiber. Also, it’s made with visco=elastic technology with more open-air cells to allow more air flow and heat dissipation. ViscoSoft topper provides amazing cloud-like support for side, back, and stomach sleepers. Their topper will help you sleep cool and comfortable all night. Waking up has never been more refreshing. What’s more, they use ozone-safe materials. 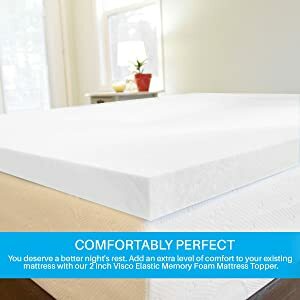 Certified gel memory foam without toxic chemicals like mercury, lead, etc. 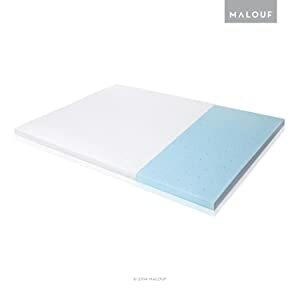 This is another great cooling mattress topper option offered by Exceptional Sheets. In fact, they claim that this is the exact kind of topper used in luxurious 5-star Marriott hotels. The topper is made in the USA with lab-tested and certified quality. They also offer 100% money back guarantee for this product. 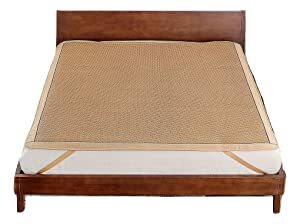 Another great product by Sleep Innovations is this premium 2-inch memory foam topper. It has received over 1,000 reviews. The price is also pretty hard to beat for something this well-made. Sleep Innovations is truly committed to making toppers that help you sleep cool and relaxing. This is an excellent cooling topper for the hot summer days. It’s made by Qbedding with 100% polyester and breathable wood pulp and fiber. There’s even 4 elastic straps to help the topper stay secure all night long as you flip and turn. Which is a very unique feature. Various color and style options: bamboo, ancient, glacial, etc. So, we’ve come to the last item on our list: this ISOLUS ventilated topper. 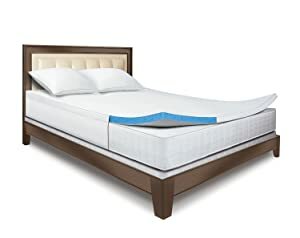 It’s made from certified gel memory foam backed by 3 years of warranty. The soft rayon derived from bamboo keeps your body temperature well-regulated throughout the night. It also has a cover for extra protection. 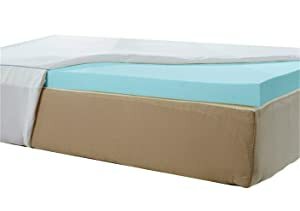 As you’ve seen, choosing the best cooling mattress topper that satisfy your needs is not that difficult. 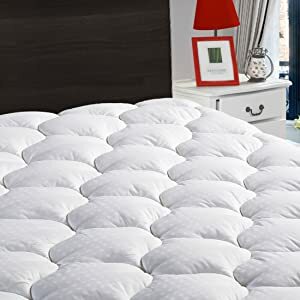 Material is definitely something you should consider when buying a mattress topper. This is because different materials will give you different cooling effects, coupled with the level of firmness and comfort. So, what are some of your sure “yes” and “nah, thanks” looking through our top 15 list above? In one way or another, we hope that it has been of help. Have cool night sleeps, even on incredibly hot summer days!